Melt the butter in a saucepan over a low heat. Peel the onion, chop it finely and cook it stirring from time to time. Add the rice, toast it for a minute and simmer with a glass of wine until reduced. Add a large ladleful of hot stock, turn the heat up a bit, then cook until the liquid has almost disappeared. Mix with a wooden spoon. Continue adding the stock and a little bit of grated truffle, until it boils down to almost nothing. Season with salt and pepper and mix. 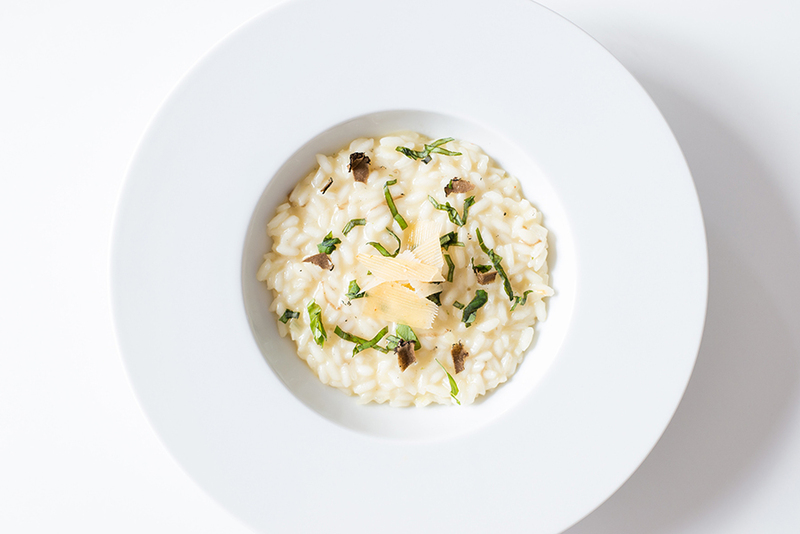 Now spoon the risotto into a dish and add flakes of truffle and Provolone Valpadana PDO over the top. Garnish with chives and EVO oil and serve immediately.